Bubalu Cafe the backbone of their Fuel Good ethos and supports everything they do in the fitness studio and gym. Exercise combined with eating the right foods can make you feel good but they also know it isn’t always easy to achieve a balance. Bubalu have created a menu so you can indulge guilt-free and to prove that healthy, nutritious food doesn’t have to be bland or boring or exclusively for the super fit. From hot wraps to homemade soups, super smoothies to delicious gluten free crêpes – they’re all packed with flavour and goodness. So whether you’ve just finished your workout, or simply want to Fuel Good without the exercise, let Bubalu cater to your needs. Nutrition is very important and something that other Health & Fitness businesses overlook. They care about giving their customers the “Fuel Good” factor – providing simple, tasty, nutritious foods and drinks with locally supplied fresh ingredients, to make getting the 7-a-day (yes, it’s now 7-a-day) easy, tasty and fun. Their menu is packed full of healthy, nutritious ingredients to fuel the muscles, energise and re-vitalise the body, ward off colds / sniffles and keep you on top form. They also tell you about what you are eating and why with their own ratings, so you can tuck in and be educated! Congratulations to Bubalu, 79-81 Gloucester Road, Bristol, BS7 8AS have been awarded the prestigious Good Food Award for 2015, 2016 and 2017. Over the last twelve months we have evaluated customer feedback and these premises have demonstrated exceptional levels of food quality, service and value when compared to industry benchmarks in their category. 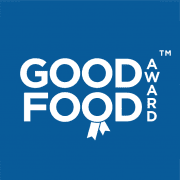 In recognition of achieving this standard for the last three consecutive years or more they have been duly awarded our highest accolade, the Good Food award – Gold Seal for 2017.